In a welcome break from the UK's recent Nightmare on High Street, Carphone Warehouse has revealed its coffers have swelled considerably. The mobile retailer's like-for-like revenues were up 16 per cent during the Christmas quarter, largely due to sales of affordable Android tablets like the Amazon Kindle Fire, available for just £99 this Christmas. The company has also enjoyed success bundling tablets with smartphones, claiming it had become an "authority" in the tablet space. Carphone Warhouse CEO Roger Taylor said: "We have become an authority in the tablet market for the first time ever. Having done that at a time when we've also managed to maintain our profitability is something we can be very proud of." 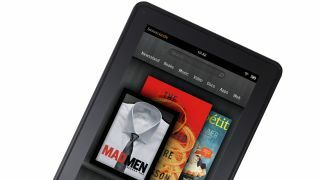 The company said it had sold 40,000 tablets per week during the Christmas period compared with 5,000 a week last year. The success highlights just how much the ever-lowering entry level for high quality tablets has opened up the market for UK punters. Carphone Warehouse's excellent Christmas comes in stark contrast to the likes of HMV and Jessops whose awful festive seasons saw them both collapse into administration.